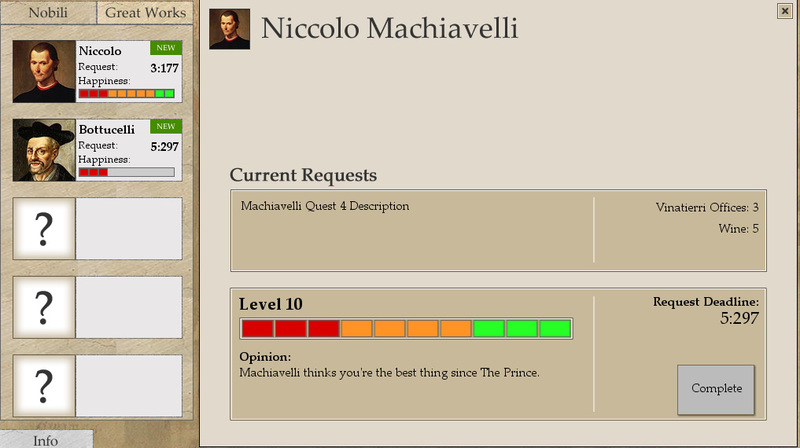 Today I’ve been working on a bunch of UI stuff as Uffizi’s core features are more-or-less finished. However, I’m caught in a bit of a dilemma which I thought I’d share. The problem I’m having is a great example of detrimental emotional attachment or, colloquially, Baby Killing. Now, before you call the police and warn them about your neighborhood game designer, let me explain what DEA/baby killing is. Getting emotionally attached to your product and features is a dangerous habit. This applies to TONS of industries, especially creative ones, and in Game Design it’s no different. You can fall in love with your ideas, but when you implement them or complete other features, you realize that your original idea is no longer as effective as you thought it was. But you love it. You can’t get rid of it, right? All that work for nothing! It’s still an amazing feature, even if it isn’t perfect anymore… right? This is where you gotta kill dem babies! Becoming emotionally attached to ineffective ideas and solutions (they’re never BAD ideas, they’re just not quite right anymore) is really dangerous because you end up sacrificing other parts of your product to try and get it to fit in. You start trying to fit the square peg in the round hole by shaving off the corners of the peg, important corners that are vital to the game. 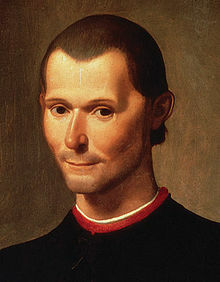 Where is this effecting Uffizi? The problem is that you’re opening a full screen menu to get this information, which is a click to open and a click to close just to check if they’ve met the quest requirements. That’s a bad user experience. The more clicks and menus a player has to go through, the more difficult it is to compare information you’re receiving. This menu will popup when the player mouses over the noble preview area, next to their portrait. It requires no click to open or close. It’s a superb user experience with zero friction. Why have the full screen menu at all? I like the full screen menu a lot because it has space for an image and I can have descriptions for the Noble’s current opinion of you. Both of these add charm and personality to the game (which is pretty important for a low-budget indie game). But is the charm worth the negative user experience? Right now, I’m going to keep both in. So you can click to open the full screen panel and hover to see this UI. I’m sure this is very inefficient for the size of my code. It’s keeping a redundant feature in the game (and all the data that goes with it) and it could even waste money if I commission panel art for each noble. Should I kill this baby? Right now I’m going to see how well it does in playtesting before making the final decision, but this whole experience is definitely teaching me a lot about what’s important in the game. If players are hooked by the charming pictures and noble’s opinion pieces, then it might be worth keeping the full screen… if not, then there’s no reason to have it and I should remove it from the game to avoid confusion. In other news, tomorrow is my non-coding day so I’ll prepare a bit of an official announcement of the game and explain what exactly I’m working on! 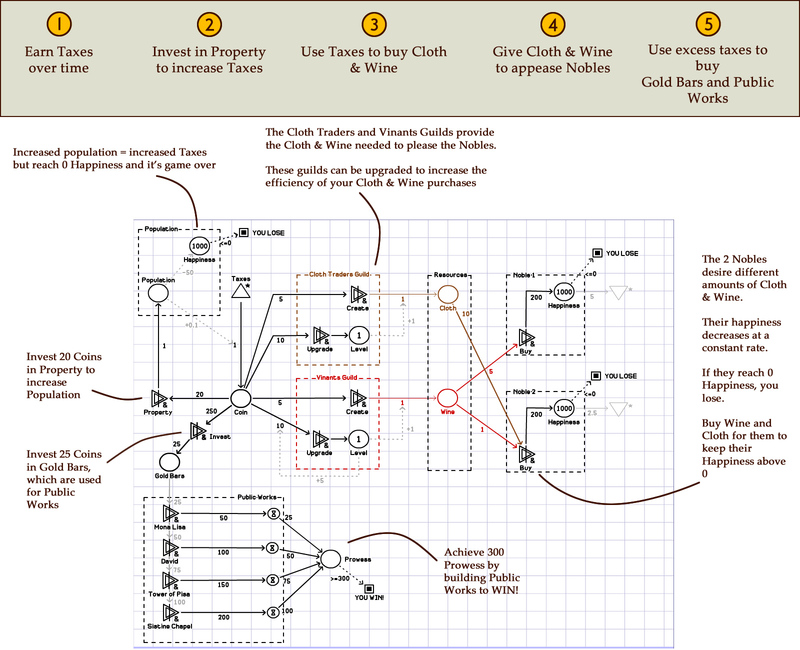 Machinations is a great tool developed by Joris Dormans (@JorisDormans) which is used to quickly build and test economic models in games. It’s super simple to use and surprisingly powerful, but most of all (personally) it became the impetus for my upcoming game Uffizi. I attended GDC in San Francisco this year where Dr. Ernest Adams (@ErnestWAdams) & Dr. Dormans (both have PhDs) presented the tool and various ways it can be used. It was extremely interesting and as soon as I got home I started playing around with it. If you think really abstractly, every strategy game is about economics. Every strategy game is about the transfer of resources from one place to another. Keeping this in mind, I started playing around with it. I built a football game in Machinations… where the ball is transferred between matchups of players, and a random chance determines if the player passes the ball on or loses possession. That was a more abstract model! The first real GAME I built with it was Cloth & Wine Simulator 2013* and I thought I’d share it here. It’s the basis of what will become Uffizi, the first game out of Virtu. If you want to give the game a spin, grab Machinations for free and the open the Cloth & Wine Simulator 2013 XML file to play! As you’ll see over the next week or so. 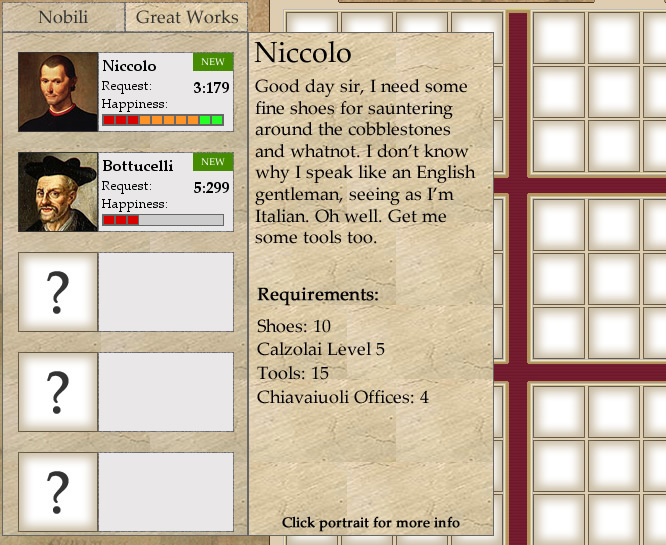 Many concepts from C&WS are used in Uffizi, so this is a sort of pre-pre-alpha version of the game. *Joke name, it was around the time that Surgeon Simulator 2013 came out! Haven’t really revealed much information about my game so far, but felt like sharing a screenshot. I’ll do an official announcement and explain what the F is going on in this picture some time next week! Here’s something for your viewing pleasure this glorious Saturday. This PBS documentary is fascinating and taught me a lot about Renaissance history in Florence, which is the basis of my upcoming game.